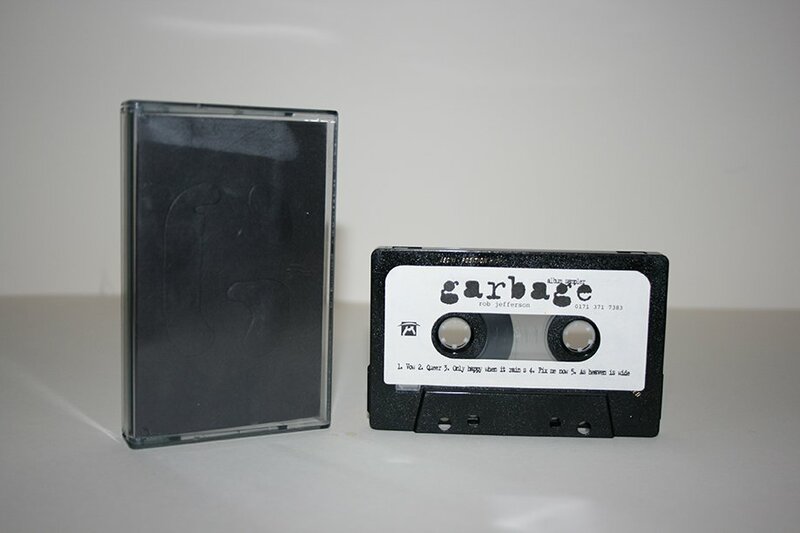 Promotional sampler cassette containing 5 tracks from the debut album Garbage issued by Mushroom Records in the UK. The release is limited to 100 copies only and comes in a standard case with black card inlay featuring the band’s iconic G logo, which is embossed. The cassette is a standard BASF Chrome Super II. The release has no catalogue number. There are 2 versions of the label on this release, one contains contact information for Rob Jefferson, the second does not.